Xylitol is a sugar alcohol used as a sweetener… (see the Wikipedia article here). The BBC goodfood website describe it as a natural sweetener made from the bark of birch trees. Unlike Stevia and some other sweeteners it’s supposed to have no bitter aftertaste and be very similar in texture to sugar. I’ve used it a few times and it works for some kinds of baking but not all. As a component of Italian meringue in a mousse it didn’t work very well and it seems to make meringue nests soft and sticky! It also appears to make lemon icing a bit runny. It doesn’t work in jam. It works great in pastry if it’s just a tablespoon (I haven’t tried with more). It was also fine for sugar-free lime lamingtons and for sweetening a raspberry greek yoghurt mousse. It worked very well in my chocolate cider sponge, possibly because of the counterbalancing saltiness, and in my sugar-free infused crème pâtissière (also gluten-free and dairy-free). It’s also great in sugar-free genoise. I’ll be experimenting some more with xylitol in the future. One tip is to grind it slightly before using it in baking, especially in sponges. It’s supposed to be actively beneficial for your teeth! Yes, really! There are pros and cons to xylitol. There is also debate on whether the xylitol you buy should be derived from birch because this is healthier or from corn which is more sustainable. You might want to read up more about it to decide for yourself. Personally I have felt no nasty side effects and my body reacts better to a cake made with xylitol than one full of sugar. Of course like most things it’s always best to consume in moderation. 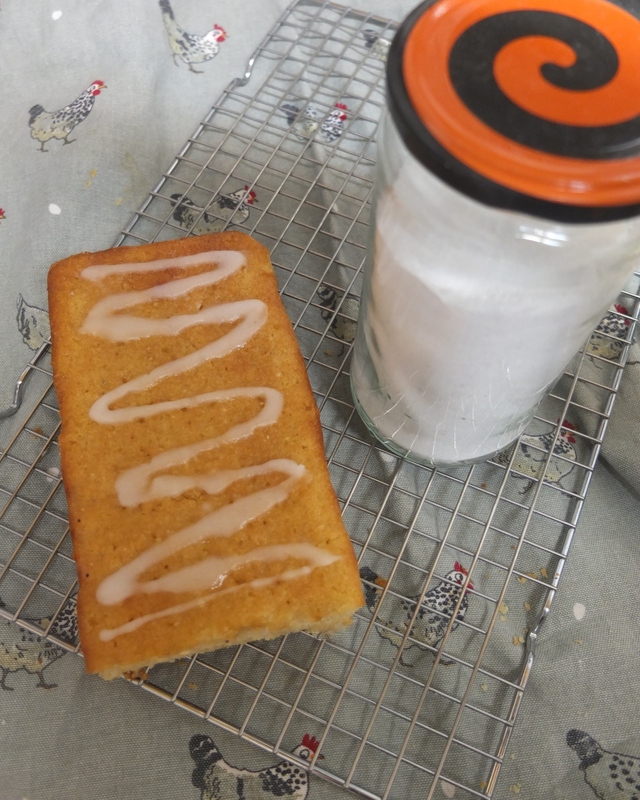 The BBC good food website have a very positive section on xylitol and some tips on using it in baking with some recipes like sugar-free lemon drizzle cake, Moroccan orange and cardamom cake and sugar-free carrot cake. There are also some simple baking tips when using Stevia and xylitol on the Whole Intentions website.